There was a time, when I used to go around wearing a red Che Guevara shirt. I folded it and left it in my closet on my way to a year abroad in the United States. It was 2004, and I was 16. With that shirt, I put my ‘rebel’ teenagers years in the closet. Instead, I dived into cultural dialogue debates, I became a travel junkie, and I continued being a people-lover. I also started a youth organization and claim to be, in my own way, a social activist. In the process, I stopped seeing my engagement as something political. In fact, I carefully and consciously stay away from politics. I was taught that NGOs should be non-partisan and I am so disgusted by Italian politics that I ask my friends to kindly refrain from mentioning in vain ‘he who shall not be named’, the king of nasty Italian politicians. I internalized that people could ‘change the world’- and politics is iffy, stinky, stuck up and wordy. 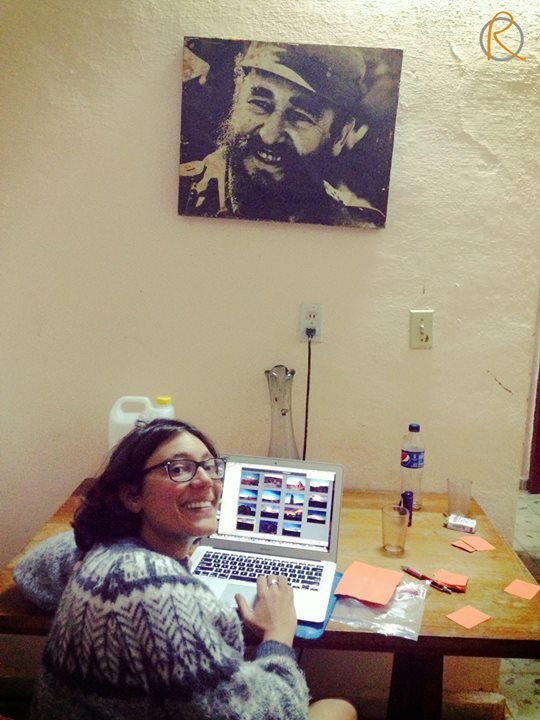 Than I started working in Cuba, where everything is political. Everything. From how the trash is picked up, to whether fish or chicken are more widely available. Soaked in politics, Cuba is different from any place I have ever lived. The first time I saw a billboard saying ‘everything within socialism, nothing outside of socialism’ I thought it was pretty disturbing. Can you imagine a sign in Germany, Italy, England or Canada that says ‘everything within Capitalism, nothing outside of it’? Yet being in Cuba makes me think the way our societies look is, whether I like it or not, a political issue. Capitalism ‘propaganda’ is everywhere. In every commercial on TV, in every billboard, on facebook, on twitter, at the airport…everywhere we are told to be ‘consumers’. The same way Cubans might be accustomed to the photos of the ‘Che’ everywhere. I have taken for granted that I interact with my society as a consumer – more than as a citizen. Let me be clear, I am far from being in a socialist honeymoon. Cuba is messy, hard to navigate and full of paradox. I keep learning about the Cuban system like a kid, with a sense of curiosity and confusion. Yet Cuba is shaking me: we do live in a political world and the direction of our societies are not dictated by a divine power. True change in our societies will be a political choice. To de-glorify growth and consumption, to impose serious limits on pollution, to create social contracts with the private sectors, to construct more meaningful discourses. So my commitment is to start looking at politics as a responsibility, instead of thinking of it as something dirty. I hope this will allow me to dream more boldly about the society that I want to work towards. Posted in CubaTagged politicsBookmark the permalink.